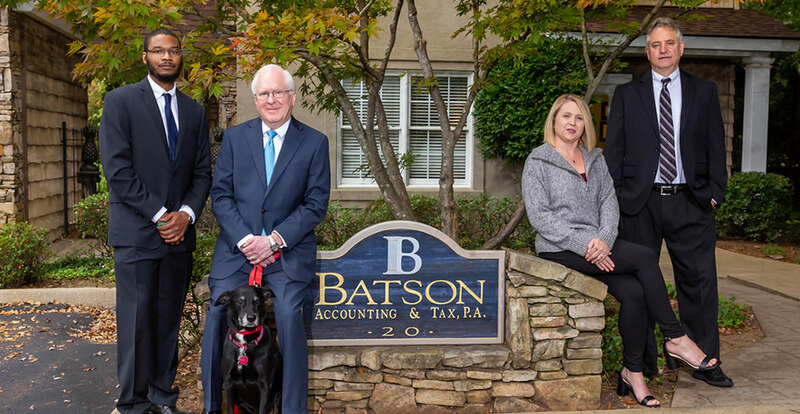 Why Choose Batson Accounting & Tax? Batson Accounting & Tax provides the fundamental bookkeeping services needed to support your ongoing business. There are many accounting and tax firms in Greenville. In making your choice, several factors might be important for you to consider. Is the firm large enough, or small enough, to be a good match for your needs? Will you receive the attention you wish and deserve? Are the rates reasonable in comparison with other firms? Perhaps most importantly, is your accountant competent and experienced? Does he or she have the years of experience in practice to be able to correctly interpret and apply the laws to your situation? We have many years of experience (and the gray hair to prove it). We've guided our clients through IRS audits, through shareholder disputes, through challenging tax issues, through entity counseling, through accounting issues both simple and complex, through Quickbooks assistance, and through many other challenges that you may confront. We concentrate on your specific issues. With your input, we determine the level of service that is right for you, and our rates are very much in line with those of other top quality firms. Above all, we want to be a trusted and valued advisor to you. We'll take the time to get to know you and your needs, and we want you to be with us for a very long time.